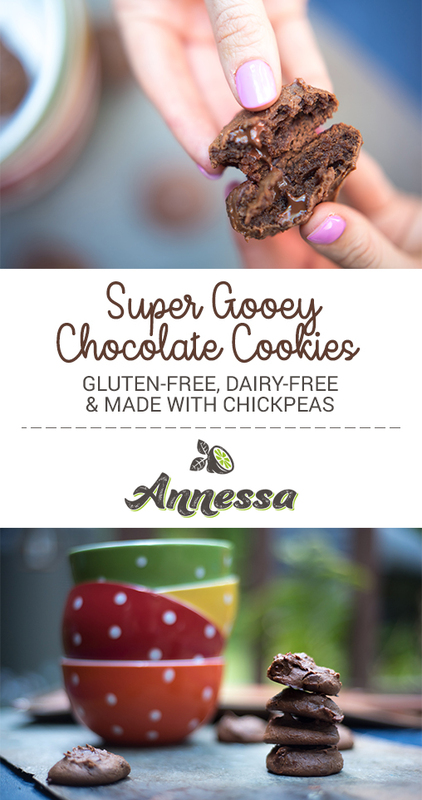 If you like gooey cookies (ahem *cough* myself included:), but you are trying to eat healthier and stick to those goals that give you more energy, this recipe is the perfect answer. 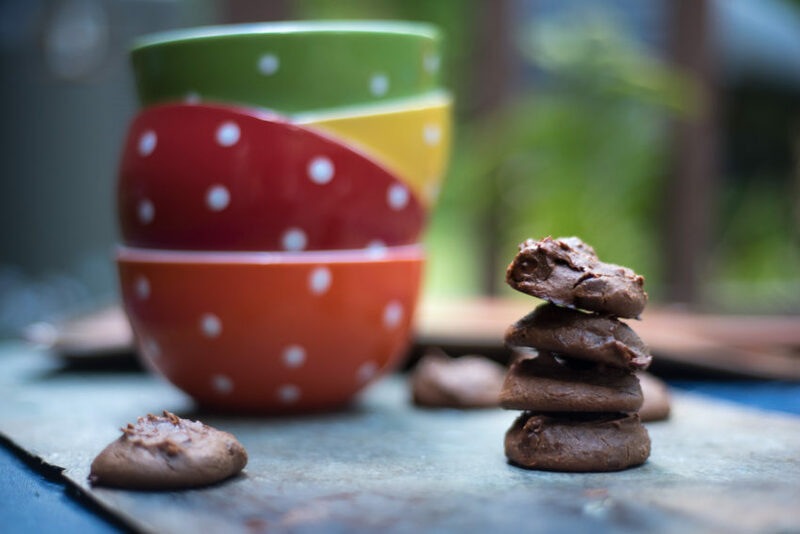 This recipe is amazing for those who eat gluten-free, because it is so easy to make; however, every single person I’ve served them to (whether they are trying to eat healthier or not) has LOVED them… so I just had to share them with you! If you make these, please comment below and let me know what you think! And I would love to connect with you on Instagram, Facebook, and Pinterest for some positive health tips and recipes. 1. Preheat oven to 375º. 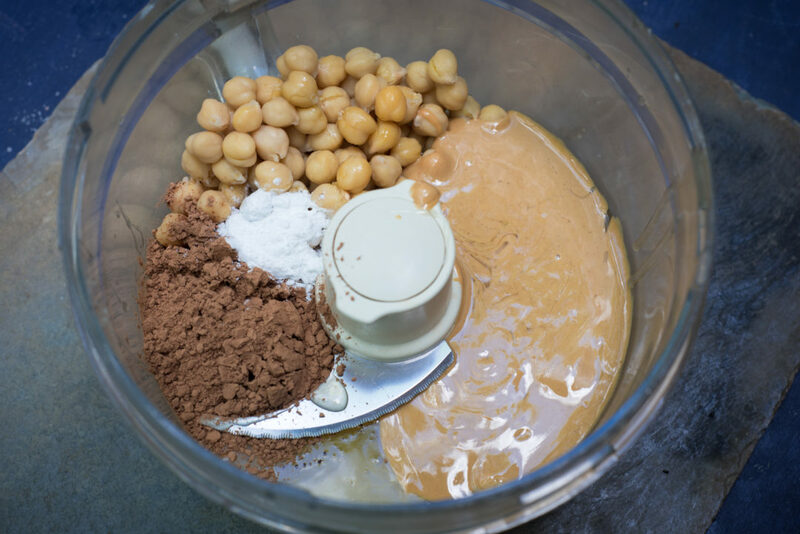 In a food processor, add peanut butter, chickpeas, cocoa powder, honey, and baking powder. Process until smooth – about 10 seconds or so. 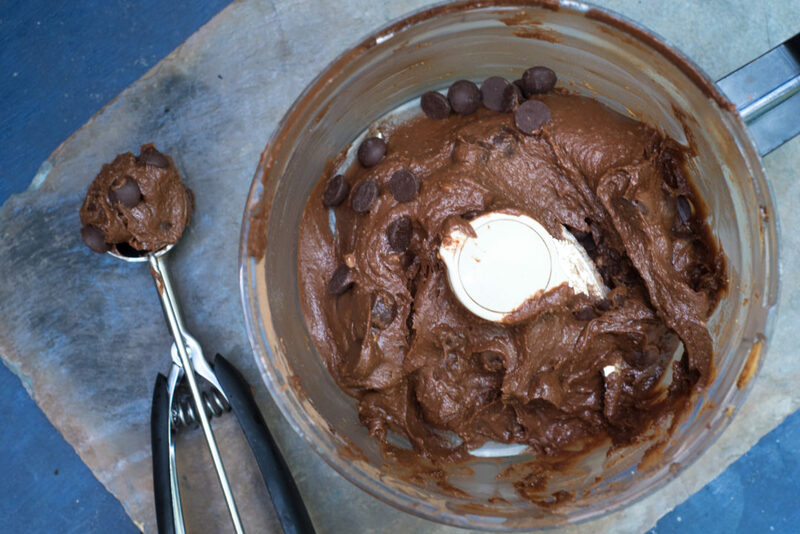 Scrape down the sides with a spatula and process again until a thick dough-like consistency forms. 2. Stir in dark chocolate chips. Scoop out into tablespoon-sized dough balls onto a baking sheet covered in parchment paper or a silicone baking mat. Press each down a little in the center to form a small cookie-shape (but cookie should still be puffy, not flat). 3. Bake for 10-12 minutes. Cookies will have a “crackled” appearance on top, but will still be gooey in the middle. Don’t over bake them! Remove and let cool slightly before serving. Enjoy! These were very easy to make and have a great flavor and texture. Awesome recipe that I will make again.